If anything can be said about the country’s state of public transport, it’s that it needs a lot of repair, literally and figuratively. Take our buses for example. Anyone who has ever ridden a bus would tell you that there are a hundred buses operating in Metro Manila which are no longer road-worthy. Even by just looking at the already broken seats and hearing the clunk of metals as the bus speeds along EDSA, one need not be an expert to know these buses are no longer safe for the public to use. Thousands of commuters use buses everyday, and by riding them, these commuters put one of their feet in the grave. 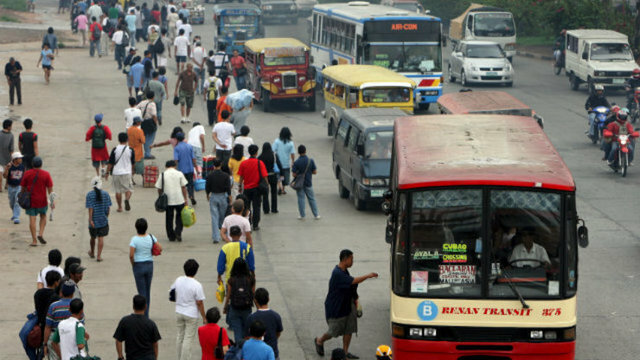 I once rode a bus from Ortigas to Philcoa and in that short ride, we almost crashed into other vehicles 3 times. The question is, why are these bus companies still allowed to operate given the danger they pose to the public? Does the Land Transportation Franchising and Regulatory Board (LTFRB), whose mission is to “ensure that the commuting public has adequate, safe, convenient, environment-friendly, and dependable land transportation” lack teeth in reinforcing laws and regulations that will ensure the public’s safety? And why do bus companies lack accountability to the riding public? Almost one year ago, a tragic bus accident in Bontoc killed 15 people and injured 32. Since then, families and friends of those who perished and survivors of the tragedy have been crying for justice while slowly trying to heal their physical and emotional wounds. In a gathering last February 4 of families and friends of those who perished and of survivors of the bus crash, the call for justice continues. Charley Sta. Maria, another survivor, shared the sentiments of others who have not been given compensation by the bus company. “The priority of the group is to make sure everybody recovers properly and all expenses are covered by Florida,” she said. Another survivor, who did not want to be identified, and who acquired spine complications because of the bus crash, said GV Florida only paid for his first hospitalization and not for the succeeding ones he needed for rehabilitation. Lei Jimenez, wife of artist-activist Tado Jimenez, said she still finds it difficult to accept the tragedy but that she is a little more ready to file a case against the bus company. The Florida bus crash in Bontoc has definitely changed the lives of many people. But this is only one of the many cases of bus tragedies that happened in the country. Many have died, many carry with them physical and emotional scars. How many more lives, how many more dreams will be cut short in tragedies that could have been prevented? A year after the Florida bus crash, justice has still not been served to victims and survivors. A year after the Florida bus crash, we are reminded of the injustice the riding public has to go through everyday as they come to work or go home to their families. A year after the Florida bus crash we ask the LTFRB and bus companies, how do you plan to ensure the safety of every bus full of dreamers?